(This is the third book in the Inheritance Cycle. You can find my review on the first book, Eragon, here.) Having just finished the third book in the famous Inheritance Cycle by Christopher Paolini, I’m forced to admit that he is a very talented writer, despite what his critics say. And yet I still find flaws in his writing. 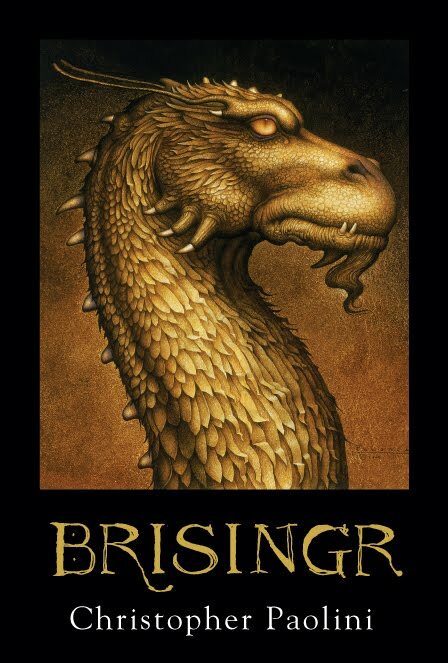 That being said, I do think Brisingr is well written, but I don’t recommend it. The book continues the story of Eragon and Sapphira, the Rider and Dragon the world found out about in book one of the series. 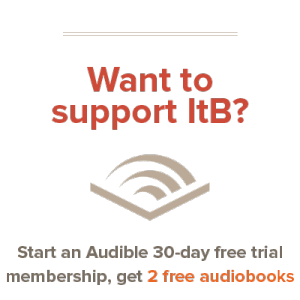 Book three continues their adventures, and tells the story of how they continue to defy the Empire and Galbatorix along with their allies the Varden, the dwarves, and the elves. Ending with findings that show them the secret of Galbatorix’s power, and the discovery of another long-hidden secret, this book is not lacking any of the action of the two books that precede it. Even though it’s been wildly popular, the book is almost cliched. Though nothing is original in fantasy any more, I just feel that a lot of the elements in Brisingr were common throughout modern fantasy, including dragons, mind-speaking, and certain other elements. Yet despite these fallacies, Christopher Paolini still manages to twist it all into a good plot with characters that stand out. But even a great plot and great characters isn’t enough to make me recommend a book. All of the books about Eragon, this one as well, include disturbing concepts that are not frowned upon and sometimes even looked on as good. The big obvious one is magic, of course. The Bible is very clear on its position about magic. Laced throughout this book are magic spells, communicating through minds, spirits, Shades, and other demonic ‘magic’ that is clearly condemned all throughout the Bible. All in all, though Brisingr may be popular and have an interesting plot, the problems in it that clearly go against Biblical principles make me very uneasy. Though I won’t go so far as to condemn you if you read these books (I read them myself), I do caution you to seriously think about what this book presents before you go ahead and read it. Don’t be too inclined to gloss over things that the Bible clearly tells us is sin. I wonder how you perceive magic in The Chronicles of Narnia given that it is clearly an analogy. Maybe so, but surely people who aren’t religious wouldn’t be sinning? Just a thought. Also, it’s only a book, and a book can only do so much. For some people, books are a release from their everyday busy lives. It’s not uncommon for a book to contain murder, torture, dark magic, and so on. But then again, the Bible is in itself a book, and in that, there is murder, massacre and sins. ‘Brisingr’ is minor compared to a book of such importance. I did not have a problem with the magic and Biblical things. Eldest was more of a bother to me. @Zilla: Even people who aren’t religious sin. Just because they don’t believe in the Lord doesn’t mean He doesn’t exist. And it doesn’t mean that there won’t be consequences of the stuff they does wrong. The Lord does exist and will give severe punishment to those who need it. I have read all the books as well, and I would have to agree with this review. I especially struggled with the magic in this particular book…very different from the fantasy that C.S. Lewis wrote. After taking a mission trip to Zambia, I heard real stories of the voodoo and witchcraft that is used in this book. It shocked me to see how real it was.